A treat for the brain and the eyes alike. I’m a big sucker for iOS puzzle games, and I love beautiful, sweeping sci-fi games which show off the graphical capabilities of the iPhone and iPad by creating otherworldly space vistas to explore. Imagine my excitement then at the upcoming Returner 77, an intriguing blend of both genres which will be arriving in the App Store this week. Check out the stunning trailer below. Returner 77 places you on an alien spacecraft, charged with the task of saving humanity from extinction. You’re the last of 77 chosen survivors, and it’s your mission to return to Earth to rebuild mankind after a war took place. Your only link to humanity? Video messages sent by a young woman, who may or may not be trustworthy. It’s an intriguing premise, and one which sounds it’s got plenty of potential for an intriguing, twist-filled narrative. 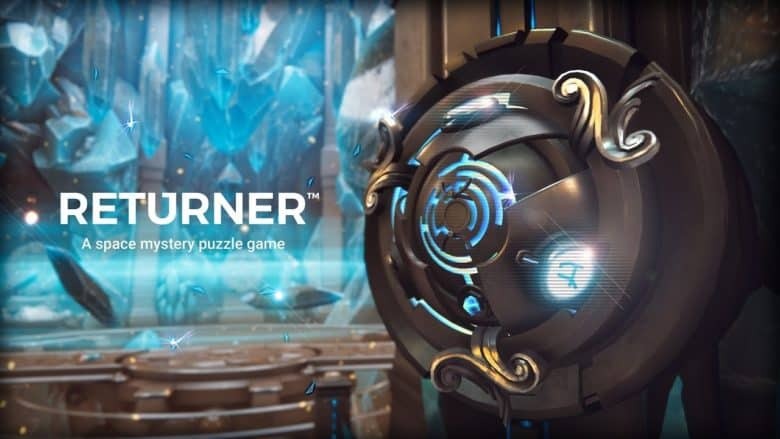 But while it also sounds like it would belong in a shoot-em-up or similar action game, in Returner 77 you progress by solving a range of puzzles. The game itself is the work of a celebrated designer and artist team, and from what we’ve seen of the graphics, it certainly promises to deliver one of the most eye-popping iOS game experiences of 2017. The game itself is due to arrive in the App Store this week. Hopefully it will be long enough before I write this weekend’s “Awesome Apps” roundup, so I can let you know my thoughts by then.